The UCSC Effort Reporting System (ERS) is a web-based system used to certify effort supported by federal funds. It replaces the paper-based Personnel Activity Report (PAR). For additional help, contact ers_help@ucsc.edu. The quick start guide provides effort certifiers with basic information needed to use the UCSC Effort Reporting System (ERS). Effort reporting is mandated by Uniform Administrative Requirements, Cost Principles, and Audit Requirements for Federal Awards which requires certification of effort spent by all employees whose salaries are charged directly to federal and federal flow-through funds, as well as reporting any committed cost sharing. All investigators on sponsored agreements are responsible to certify the amount of effort that they and their employees spent on sponsored activities. The University fulfills the effort reporting requirement through the use of the Effort Reporting System (ERS). ERS is a web-based tool that, based on actual pay, calculates the distribution of effort for all employees paid from federal and federal flow-through funds; captures certification electronically; and provides a mechanism for processing corrections and re-certifying reports. Why an Effort Reporting System? In recent years, the federal government and its auditors have become more active in their review of compensation charges on federal research projects (and related effort reporting certifications). There have been several whistleblower cases at major institutions that have resulted in a number of universities receiving large audit disallowances or agreeing to make significant settlements to address alleged overcharges. In fiscal year 2004, federal awards represented approximately 69% of the total $3.83 billion in contract and grant award activity within UC. Given the increased scrutiny on the adequacy of effort reporting systems and processes and the significance of these dollars, the University of California embarked on a project to develop a state-of-the-art Web-based effort reporting system, which interfaces with the UC Payroll Personnel System (PPS) system, and is replacing the paper-based Personnel Activity Report (PAR) system. Navigate to the ERS Launch page: http://ers.ucsc.edu. Click on Launch ERS . The CruzID Gold login window will appear. Enter your CruzID (the part before @ucsc.edu in your e-mail address) and CruzID Gold password. Questions or problems with your CruzID login? See https://cruzid.ucsc.edu for more information or contact the ITS Help Desk at help@ucsc.edu. Questions or problems with ERS? Contact the ERS Help Team at ers_help@ucsc.edu. The Report List tab displays a list of effort reports based on Display Saved Search, Show Status, and Reporting Periods selections. Depending on your certifier role the Display Saved Search may list one or all of the following three options. List of the effort reports that you are expected to review and certify as the designated Report Certifier for the listed employees. List of effort reports for all employees who have been paid from federal grants for which you are the Principal Investigator or Co-Principal Investigator. Note: PI's can always use the My Projects tab to review the status of all effort reports on all their funds, even if others were delegated the Report Certifier role for those funds. Select My Certifications from the Display Saved Search drop-down menu. If My Certifications is not listed, select My Effort Reports. Select ALL-Open from the Show Status drop-down menu. Click the All radio button next to Reporting Periods. To access an effort report, click on the name of an employee displayed in the Report List. Note: To export, email, or print your Report List, refer to: Export, Email or Print a Report List. Click on the Comment Log tab to review any comments entered by the system or Research Accountant on the effort report for your consideration. Refer to Comment Log for more information. Click the Edit Report tab to review the employee's project funding information and percent effort based on the pay periods covered by the reporting quarter. Refer to the screenshot of this section for an annotated example of an effort report. Letters in parentheses in the section below correspond to circled letters in screenshot. The Adjusted Payroll % (A) shows the percent of effort before any cost sharing. The Original Payroll % (B) shows the percent of effort calculated from payroll records. In most cases, the Original and Adjusted Payroll % columns will equal; however, if there is a difference, it means that additional payroll transfers are pending and the Comment Log should provide you with additional information. If the Adjusted Payroll % (A) is not accurate, consult with your divisional Research Accountant or Editing Adjusted Payroll % for more detailed information. Cost sharing on a federal fund is indicated in the Actual Cost Sharing % (C) column on the effort report. For information about cost sharing percentages, contact your divisional Research Accountant. The percentages in the Adjusted Total (D) are the amounts being certified. This is the sum of the Adjusted Payroll % and Actual Cost Sharing %. Tip 1: To review the payroll transaction details that support the percent effort for each report line, refer to View Payroll Details (E). Tip 2: To review the different (historical) versions of the effort report, refer to View/History Tab. Tip 3: To export, email, or print the effort report, refer to: Effort Report: Export-Send-Print. Consult with your divisional Research Accountant before entering changes to effort report percentages. These changes require payroll cost transfers in the payroll system that the Research Accountant must coordinate. Percentages within +/- 5% of the actual effort percent are within policy tolerance, and do not need to be adjusted. Refer to this screenshot for an annotated example of an effort report. Letters in parentheses in the section below correspond to circled letters in screenshot. The Grand Total (E) percentage on an effort report must always equal 100%. If the percentage for one project/activity is increased, another project/activity's percentage must be decreased. Click in the Adjusted Payroll % (A) field for the federal sponsored project that requires adjustment. Enter the corrected percent (whole number). Click in the Adjusted Payroll % (A) field for the project or activity that will contain the offset to the federal sponsored project change. Enter the corrected offset percent (whole number). If the federal sponsored project needing the adjustment does not appear on the effort report, refer to Add Additional Sponsored Project. Click Update Calculation (B) to recalculate the total percent. In the Add a comment section (C), enter a brief explanation for the percentage change. Click SAVE (D) to save the edited effort report. The Payroll Transfer Alert window will appear. Click CONTINUE to save the report, or CANCEL to return. Cost sharing is indicated in the Actual Cost Sharing % column on the effort report. If you have questions regarding the amount of cost sharing indicated for a federal fund, or updates are needed to any cost sharing information please contact your divisional Research Accountant for assistance. It indicates that this employee had effort on multiple federal funds, and additional Report Certifiers need to review and certify. Refer to Certify an Effort Report with Multiple Certifications for more information. To certify the report, click CERTIFY EFFORT REPORT. The Certify ERS Report popup window will appear. Click CONFIRM to certify or CANCEL to go back to reviewing the report. Tip: After each report is certified, ERS automatically brings up the next employee’s effort report. You can scroll back and forth through your list of reports using the report navigation arrows. Note: If you need to reopen (de-certify) a certified effort report, refer to Reopening an Effort Report. In the final review you are making sure that all effort reports have been certified to your satisfaction. Return to your list of effort reports by clicking the REPORT LIST. All-Open in the Show Status dropdown menu. All radio button next to Reporting Periods. Check the Status column to determine if you have additional reports to review. Reports with statuses OTHER THAN Certified or Not Required still need certification. To log out of ERS, click the Sign-Out link in the top right of any window. The Comment Log display all comments associated with an effort report. Comments provide background and explanation for changes made to the effort report. ERS provides the ability to extract an effort report for use outside the system by using the buttons described below, located on the top right of the effort report screen. Export allows you to download the effort report to Excel or another application that supports CSV format. Send allows you to send the effort report via email to an email address you specify. Print allows you to print the effort report. ERS provides the ability to extract the list of effort reports displayed in a Report List (tab: ) using the buttons described below, located at the top right of the screen. Print List - Prints the current Report List. ERS provides the ability to review the detailed payroll expense information from which the effort report percentages are calculated. Click the VIEW PAYROLL DETAILS button located on the bottom left and the top right of the effort report screen. The Report Detail pop-up window will open (only the top left portion of the Report Detail window displayed in screenshot). Descriptions of each column's data can be accessed by hovering the cursor over the column heading. If you have questions regarding information on the Report Details screen, contact your Research Accountant or email ers_help@ucsc.edu. When changes are made to effort report data, ERS creates a new version of the report to track them. The View/History tab on the effort report screen allows you to view previous versions of the report you are viewing. IMPORTANT: Consult with your divisional Research Accountant before adding additional federal sponsored projects to an effort report. If an effort report does not include all federal sponsored projects for an employee (e.g., when retroactive payroll charges are being processed), ERS provides a way to add additional federal projects to the report. Click on the ADD ADDITIONAL SPONSORED PROJECT button at the right of the screen just above the Total Federal Sponsored Projects row. The Add Additional Project pop-up window will appear listing all UCSC federal projects. To narrow the list, enter search criteria (e.g., project fund number) in the text box and click Filter. When you have located the project to add, click the Select button on that row. If you are unable to locate the project you wish to add to the effort report, contact your divisional Research Accountant or ers_help@ucsc.edu for assistance. The effort report will now show the additional project. To remove it from the report, click the X button in the project description box. indicates that this employee had effort on multiple federal funds awarded to different Principal Investigators, and therefore the report requires review and certification by more than one Report Certifier. Click the checkbox in the Line Certified column next to the federal sponsored project row that you are certifying. Read the ERS Alert box, and click OK to certify or CANCEL to go back to reviewing the report. Repeat steps 1 and 2 for any other federal sponsored projects you are responsible for certifying. Report Certifiers for the remaining projects will do the same for their projects. NOTE: If there are remaining projects to be certified after you complete your portion, the report status will update to 'Partially Certified'. Once all project lines have been certified, the report status will update to 'Certified'. If needed, a certified effort report can be reopened (and therefore uncertified) by the REOPEN EFFORT REPORT button at the bottom right of the effort report screen. The Comment Required pop-up window will appear. Add an explanatory comment for reopening the effort report and click OK. The effort report is now open for review and recertification when ready. Note: If you are reopening (uncertifying) an effort report which had multiple line certifications by different Report Certifiers, all Report Certifiers will have to review and re-certify the effort report. Refer to Certifying an Effort Report with Multiple Certifications for more information. Q) How can an effort report total 100% when the employee has a less than full-time appointment with the university? A) Effort is not based on a 40-hour work week; it is based on the total time spent on university activities, no matter how many hours are worked. The following example of an employee who has a 50% appointment at the institution and who is working 25% on a sponsored project and 25% on other non-sponsored activities demonstrates the concept of 100% total effort. Q) What type of effort must be reported? A) Mandatory committed effort must be reported. This is effort required by the sponsor as a condition of the award. Voluntary committed effort must also be reported. This is effort identified and specifically quantified in the project proposal or award documents, including the budget or narrative as effort that will be committed to the project but not charged to the sponsor. Q) What are the implications of making a change in the effort percentages on the effort report? A) A change in paid effort requires a corresponding payroll transfer or cost share entry. Due to the deadline for processing cost transfers of 120 days, it is critical that ledgers are reviewed and the payroll transfers are made in a timely manner. Example: PI Smith charged 30% of her salary to Project A for the entire effort reporting period. At the time of certification, she believes she only worked 28% of her time on the project. What should she do? It is not always possible to determine time spent on any project with absolute certainty. Office of Management & Budget (OMB) Circular A21 recognizes this fact and states: "A precise assessment of factors that contribute to costs is not always feasible, nor is it expected. Reliance, therefore, is placed on estimates in which a degree of tolerance is appropriate." The current practice in the University of California is to certify effort within a +/- 5% tolerance. For example, if the effort report shows 30% effort for a project, either directly charged or cost shared, and the actual effort determined is 28%, the report can be certified because it is within the tolerance range. Changes must be made in the Effort Reporting System (ERS) if the difference between the effort report’s percentage and the actual effort expended exceeds the +- 5% tolerance. If changes are made in ERS, then a corresponding Transfer of Payroll Expense (TOPE) must be completed in the Payroll Personnel System (PPS). Q) What is Cost Sharing? A) Cost Sharing, also called "matching", refers to the resources contributed or allocated by the University (including non-University resources allocated by the University) to a sponsored project over and above the support provided by the extramural sponsor of that project. Payroll expenditures on federal awards require certification of effort by the PI or designee, specifically referencing that project. Mandatory Cost Share is when the agency requires Cost Sharing as part of the terms of the award. Voluntary Cost Share occurs at the discretion of the PI. When either is quantified in the proposal or the award, it becomes Declared or Committed Cost Sharing, and must be subsequently identified, appropriately authorized, recorded, tracked and reported back to the agency. Q) If an award is funded at an amount less than what was proposed, do I still need to meet the levels of effort commitment proposed in the original proposal submission? A) Yes. However, if the awarded amount has been reduced there may be a reduction of scope which would change the original proposed effort on the project. In these situations it may be reasonable to negotiate a lower level of effort than what was originally proposed.  UCSC's Office of Sponsored Projects can assist in necessary negotiations with the sponsor to appropriately amend the proposed level of effort originally committed to the project. Q) Who can certify an effort report? A) Principal Investigators and other faculty in Professorial, Professional Research, and Management titles who are paid on federal or federal flow-through funds are required to certify their own effort. The certifier must have first-hand knowledge of the work performed and the ability to make a reasonable estimate of the effort expended on each sponsored project. Staff who are paid from federal or federal flow-through funds may certify their own effort if they have first-hand knowledge of the work they performed. Effort reports for other employees must be certified by a Principal Investigator (PI) or other responsible official. PIs should not certify the effort reports of other faculty members, even if the faculty member worked on one or more of the PI’s projects. Effort reports must be certified by a person with first-hand knowledge of all the activities of the person for whom the certification is made. It is rare that one faculty member will be aware of all the activities of another faculty member, therefore it is generally inappropriate for one faculty member to certify for another. Q) Who may NOT certify an effort report? A) Individuals designated by their department as not having first-hand knowledge regarding which sponsored projects they are working on should not be asked to certify their own effort. This could be the case when an employee is assigned to work in a lab in which multiple projects are conducted or in multiple laboratories that conduct multiple projects. In this case it would be more appropriate for the employee's supervisor who is assigning the work to certify his/her effort. Q) If an employee is paid on grants outside of my organization, who should certify the effort? A) The PI is ultimately responsible for ensuring that all effort reports are certified on their projects. Normally, an effort report can be certified either by the individual or by a supervisor or someone with first-hand knowledge of the work performed. Occasionally, an effort report may require multiple certifications if the individual works on multiple projects, has multiple supervisors and is not aware of which projects their effort is benefiting. In that case, multiple certifications may be required. Work with the other department to determine the employee’s effort percentage on all projects, as it isn't possible to know what percent of time was spent in one department without knowing the total time spent. Each department should certify only their own projects. Q) When would an additional sponsored project need to be added to an effort report? A) Occasionally, an employee may have no salary charged to a project, but needs to report cost sharing because they have been expending effort on that project. Retroactive payroll charges would need to be processed to capture that cost sharing using the "Y" activity code. Q) If someone voluntarily works on a sponsored project and the individual was not included in the proposal, is it necessary to certify the effort? A) No. Office of Management & Budget (OMB) issued a clarification in January, 2001 which specified that voluntary uncommitted cost sharing should be treated differently than the committed effort and should not be included in the organized research base for computing the Facilities & Administration (F&A) rate. Q) If a Principal Investigator (PI) or other employee leaves the university, who should certify his/her effort? A) When possible, a PI should certify his/her own effort at termination. An individual effort report can be generated on demand. If it is not possible to get the PI's certification, a person with first-hand knowledge or a suitable means of verifying the effort should certify. If the PI is a faculty member, the certifier must be someone up the faculty chain of command, and should use the available documentation (e.g. progress reports, logs, task checklists) as the suitable means of verifying the effort. For a PI, an appropriate certifier would generally be the Department Chair or Dean or equivalent. Q) What are the possible consequences of not certifying a report in an accurate and timely manner? Cost Share tracking with Activity Codes: When there is a cost share commitment on a federal sponsored award (as reflected on the EDP document from OSP), PPS distributions for the affected employee(s) must be coded properly to ensure the cost share component is recognized in future effort reporting functionality. Create a Cost Share Activity Code in FIS. This code always begins with “Y” and is followed by the 5-digit fund code of the award on which the cost share is required. For example, cost sharing related to fund 22399 would use an activity code of Y22399. You may designate any text for the activity code title. Update affected PPS distributions using the Cost Share Activity Code. Provide complete distribution data for the affected employee(s) to your Divisional HR Representative. An example showing 8% Cost Share against 19900 for grant 22399 for an academic year. NOTE: DOS Code ‘CSH’ may be used in place of ‘REG’ for the distribution with the Y activity code if desired by your division to aid in categorization when running Infoview or Business Objects reports. Each effort report has a Status assigned to it, depending on the stage in the report certification process it is in. Open Effort report is ready for review and certification. Certified Effort report has been certified. Open-Reopened A previously certified effort report has been reopened and has not yet been recertified. Partially Certified Multiple certifications are required; all projects have not been certified. Not Required Effort report does not include any federal sponsored projects so certification is not required. Certified/AdjustReqd The report has been certified, but is awaiting a payroll adjustment. When the payroll adjustment is loaded into ERS and matched with the effort certified, the status will automatically be changed to Certified. Adjustment Required Effort report has been modified, and the corresponding payroll adjustment is pending. Open-Reissued Effort report was earlier certified but has been reopened (and therefore uncertified), possibly due to additional or late payroll activities. Reissued-Partially Certified Effort report requiring multiple certifications was earlier certified and has been re-issued, possibly due to additional or late payroll activities. One or more of the line items are still certified. ALL Shows all effort reports, regardless of status. ALL-Open Shows all Open reports. ALL-Certified Shows all Certified and Certified/AdjustReqd reports. ALL-Overdue Shows all uncertified reports past their certification due date. ALL-Partically Certified Shows all multiple certification reports that are Partially Certified. ALL-Reissued Shows all Open-Reissued and Reissued-Partially Certified reports. Open, Partially Certified, Reissued, and Reopened statuses will be augmented with "/Overdue" when report certification due date has passed. All questions and inquiries can be directed to ers_help@ucsc.edu. ERS Help is staffed Monday – Friday, 8 am – 5 pm. ERS Help is not available on university holidays or closure days. Inquiries when the office is closed will receive a response the following business day. Contact your Divisional Research Accountant for effort reporting policy questions or making changes to an Effort Report. For more complex functional issues, we will refer users to other campus units with relevant expertise. Unsure where to get help? Contact ERS Help at ers_help@ucsc.edu.